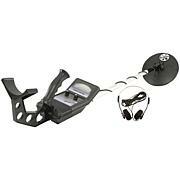 The Bounty Hunter(R) Quicksilver Metal Detector is an advanced system designed for those who are new to the hobby by providing maximum basic target discrimination with minimal operator adjustment. 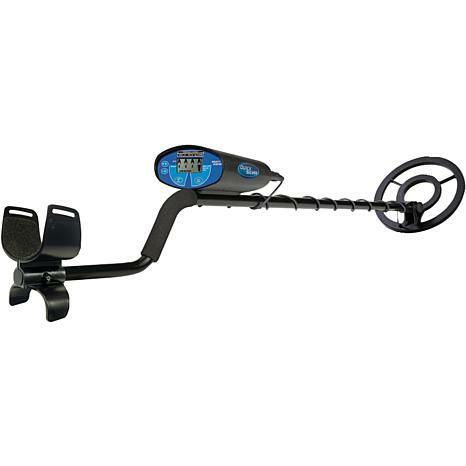 The entire line of Bounty Hunter(R) metal detectors operate on two 9-Volt batteries and are designed to be lightweight and ergonomic for easy handling and comfortable use. Their standard motion all-metal mode detects all types of metal, while the progressive discrimination control eliminates iron and other unwanted items. 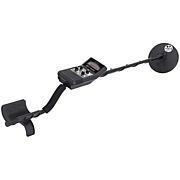 Me and my husband have been talking about getting a metal detector for some time just for the fun of it. This was a good buy...it's easy to use and we have found some stuff, but nothing of value yet. Did find an old license plate which I thought was pretty cool! Unfortunately I've not had time to go to an ideal search area yet. I have however been around the neighborhood. Apparently this place used to be where everyone buried their junk. The unit works fine though. It is able to weed out the junk, lucky for me. My first time out I found 2 quarters, both silver. Good unit. Although I'm pleased with the features and functionality. I was quite disappointed in the quality of this item. 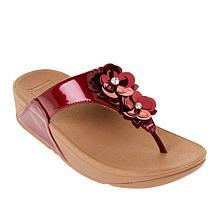 It's made out of a cheap plastic.